Wal-Mart says it has cracked the code for speedy, same-day grocery delivery—in Mexico. As retailers like Wal-Mart and Amazon.com rush to expand home delivery in the U.S. to groceries, the retail giant is looking across the border for help: Its high-end Mexican grocery chain, Superama, already delivers groceries in as little as 3 hours. Wal-Mart has ramped up its global e-commerce operations over the past few years, writes The Wall Street Journal (Feb. 19, 2014), in hopes of catching up to online rival Amazon.com. The company vowed to match Amazon’s service offerings within 2 years. Currently, only about 2% of Wal-Mart’s sales come from the Web. Mexico provides $27 billion in sales and contributes 6% of the company’s global sales. 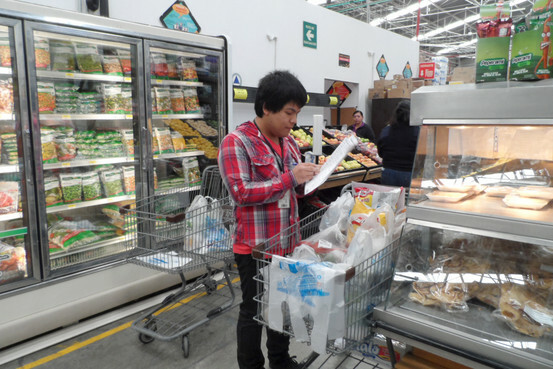 Superama helped Wal-Mart achieve a 92% market share in the home delivery of groceries in Mexico. A fifth of its grocery orders arrive via mobile-phone apps, computers and tablets. The service is strongest in Mexico City, where much of Mexico’s wealth is concentrated. The capital’s snarled traffic and cramped grocery stores make delivery from Superama appealing for the well-to-do. The majority of the grocery deliveries in Mexico come from supermarkets that are open to the public. But in the future, Wal-Mart de México plans to deploy more “dark stores”— spaces used exclusively to fulfill online orders. Such “closed” stores are more efficient: Wal-Mart’s inaugural dark store in Mexico City handles the same volume of orders as 5 stores open to the public. This entry was posted in Domestic Business, Retail, Wholesale Distribution. Bookmark the permalink.